There are some wineries that just exude class and when you visit the Carr website or look at their handsomely appointed wine bottles, you understand the people behind the wines are talented. The winery is located in a 1940s Ouonset Hut in downtown Santa Barbara, but the wines are rooted in Santa Barbara County wine country soil. Carr Vineyards is also a vineyard management and development company that currently supervises over 100 acres of vineyards spanning the entire Santa Barbara County. Ryan Carr is the man in charge and he insures that the grapes for his wines are grown to his exact specifications. He wears many hats as the owner, winemaker, and grower for Carr Vineyards & Winery. The winery's first vintage was 1999 produced in Carr's home garage. 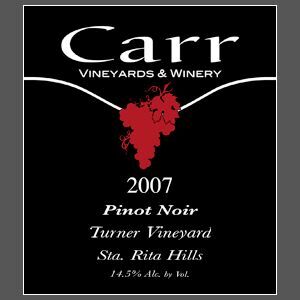 Today, the Carr Winery produces 4,000 cases of multiple varietals including Pinot Noir, Pinot Gris, Syrah and Cabernet Franc. In addition, the winery has popular premium keg wines as well, bringing total production to about 6,000 equivalent cases. The winery's focus is on the Sta. Rita Hills viticultural appellation. Ryan Carr's full story is quite interesting. He had only a casual interest in wine while an art student at the University of Arizona. His parents had moved to Santa Barbara County and his father had developed an interest in the local wines. He regularly sent Ryan bottles of wine to spur his interest and the plan worked. Carr's parents purchased land in the Santa Ynez Valley for Ryan to manage and possible start a vineyard but the family did not have the capital to follow through with planting and the property was sold. 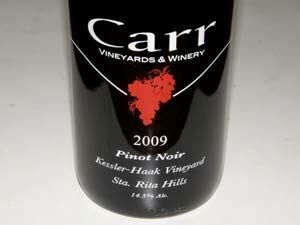 Along the way, Carr had fallen in love with the wine industry. 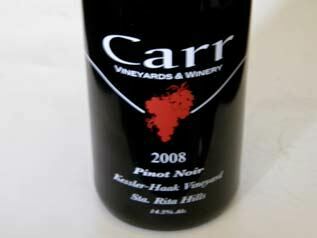 Carr helped out a number of winemakers and began to spend time working for a vineyard manager. 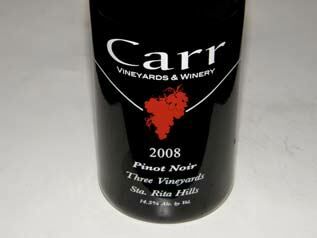 In 1999, one of the vineyards Carr was working had some excess fruit on the vine and it was offered to Carr. He took the grapes to his house and crushed it in a garbage can. He used his art and graphic design background to create an attractive label and his friends loved the wine. 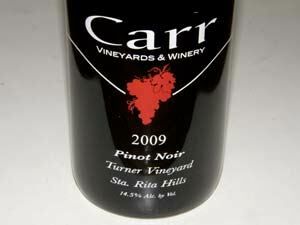 Carr had been saving money to start a graphic design business but invested instead in his own winery. 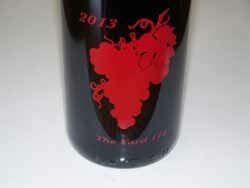 The first vintage of Carr Winery produced 300 cases. Carr remains focused on vineyard management despite the success of his winery. The Carr tasting room in Santa Barbara is open daily and the Wine Bar is open late to 12:00 AM Thursday through Saturday. The wines are available from the online store.